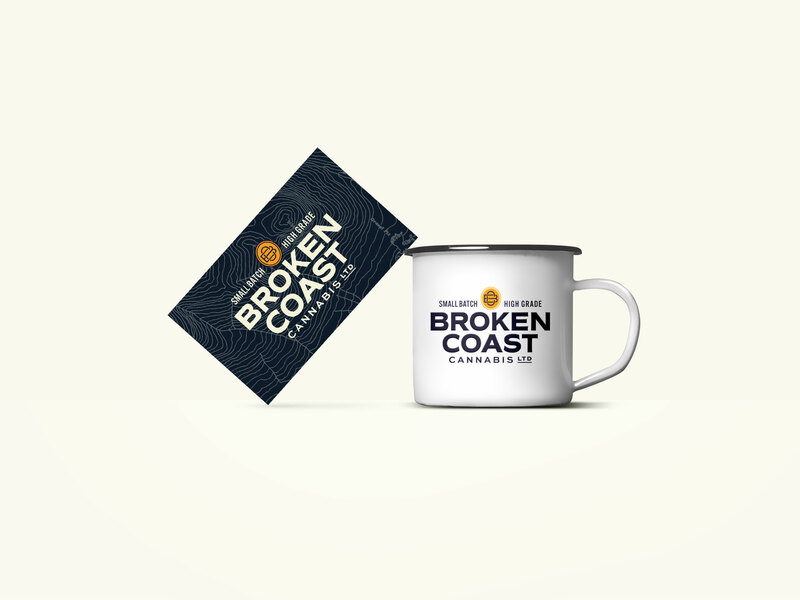 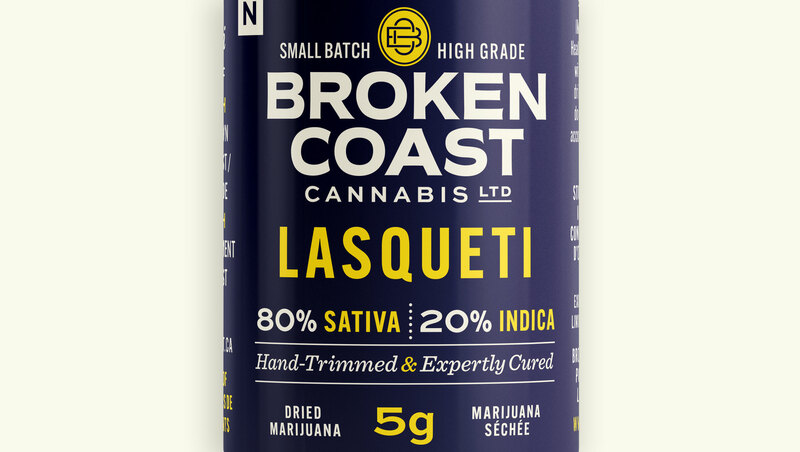 Broken Coast is Canada’s premier producer of small batch cannabis. 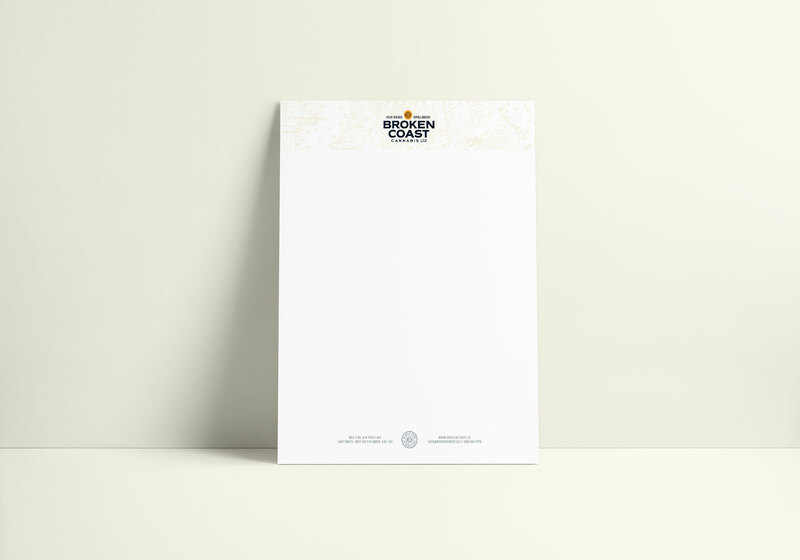 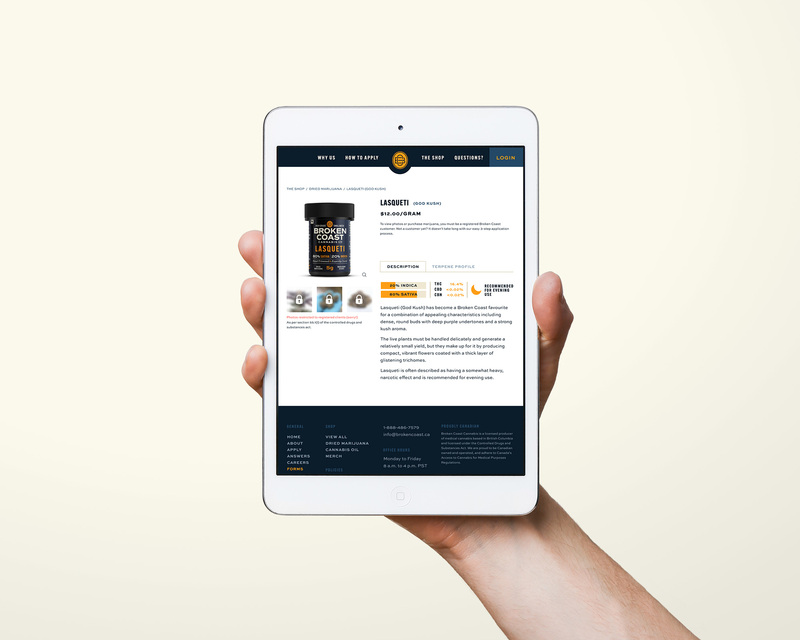 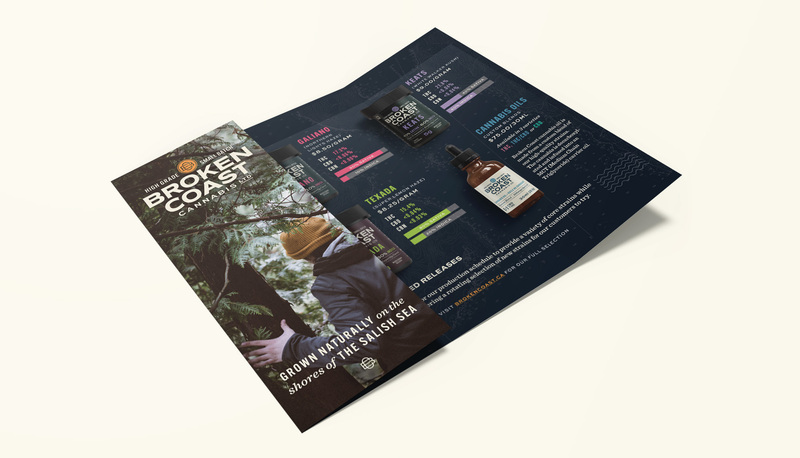 In late 2016 we were approached to redesign their branding, packaging, and website in anticipation of adult-use legalization in the summer of 2018. 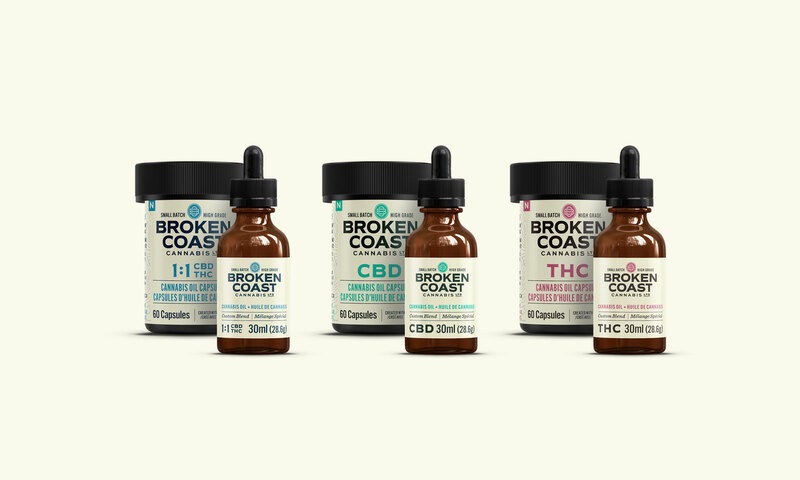 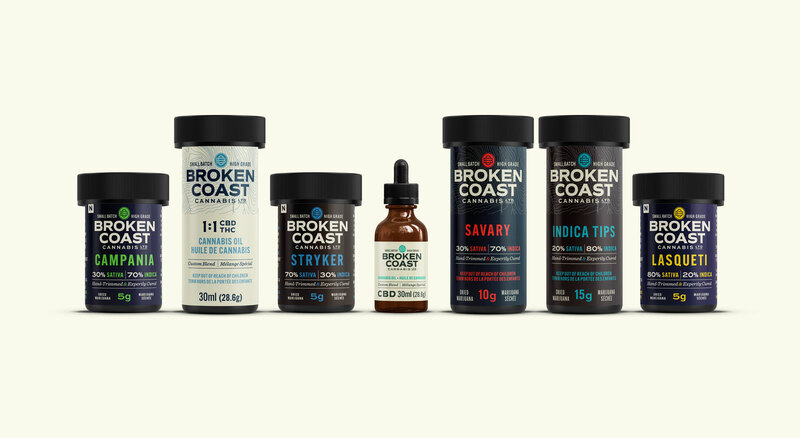 The cannabis sector has matured greatly since the original Broken Coast identity was created, and consumers have become far more sophisticated and discerning. 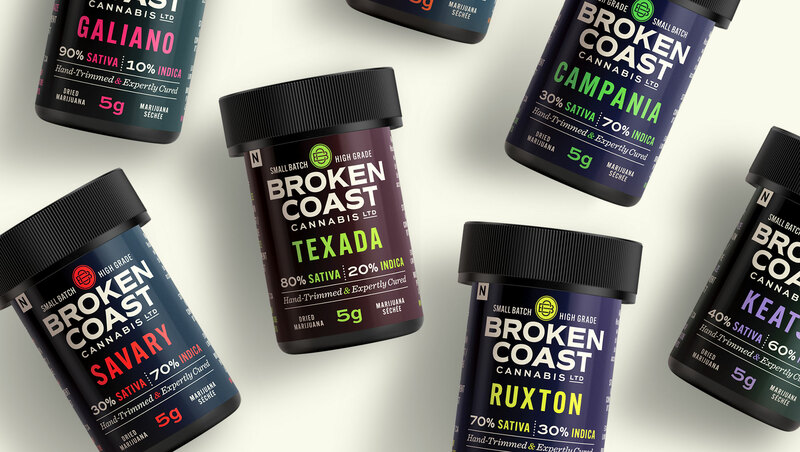 Whereas using a (small, tastefully rendered) cannabis leaf may have been appropriate in the past, using imagery that is even remotely associated with the stigmatized history of cannabis is potentially detrimental in today’s marketplace. 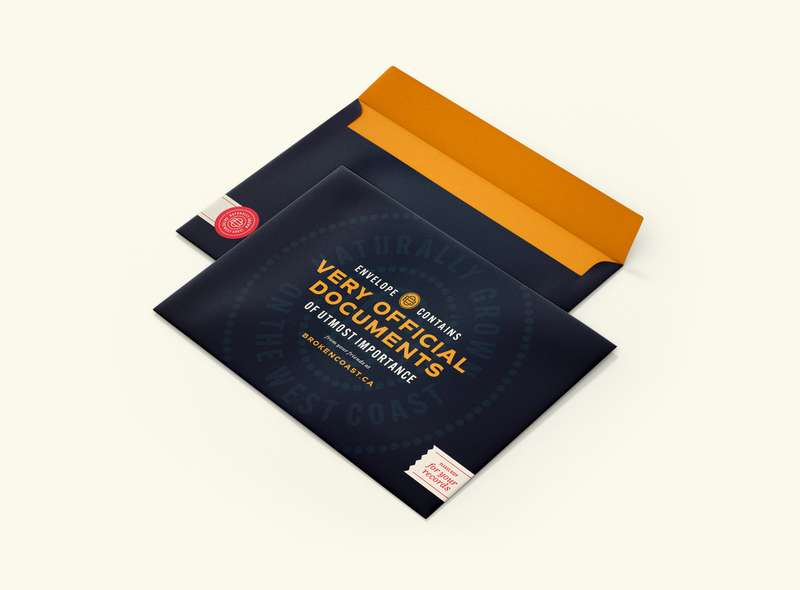 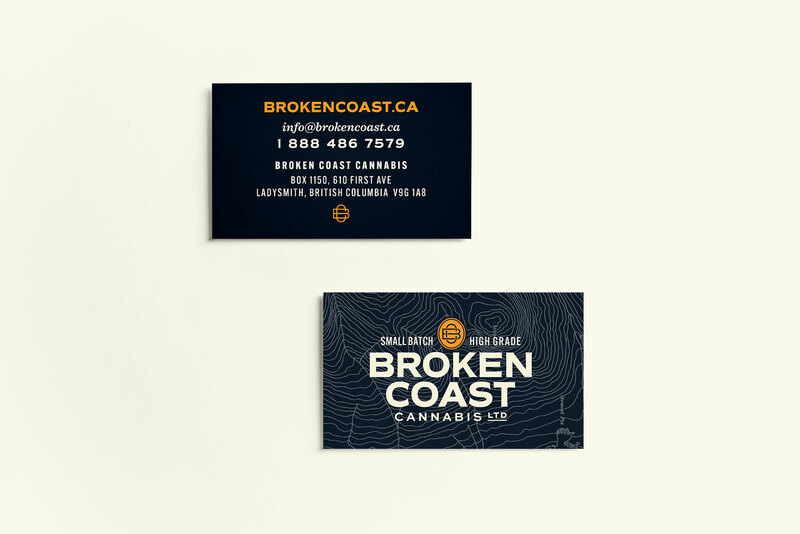 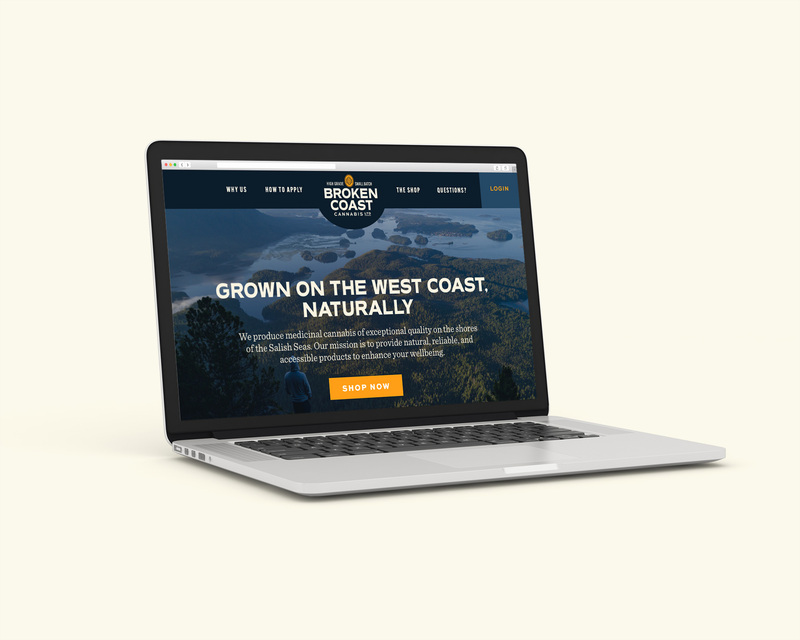 With this in mind we stripped away any reference to cannabis itself, and instead created brand elements that reinforce Broken Coast’s deep connection to British Columbia and the Pacific ocean.